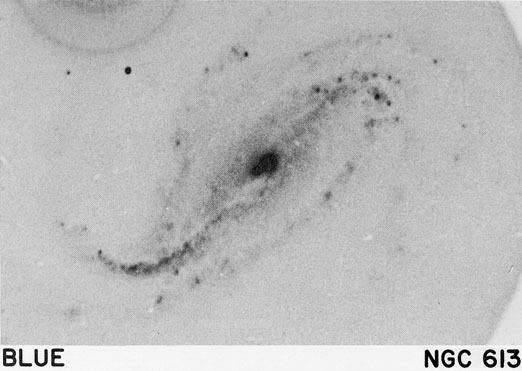 NGC 613. 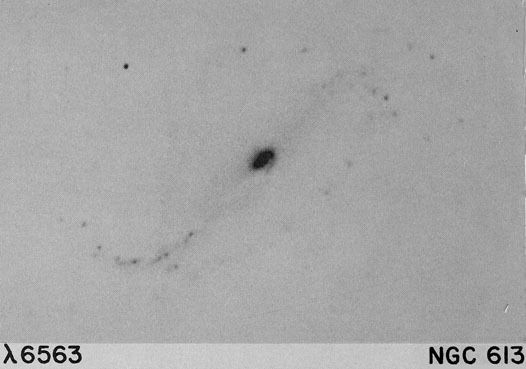 - This galaxy is very similar to NGC 7479 in general structure. 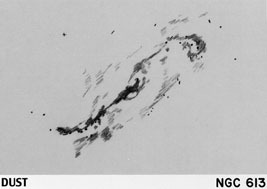 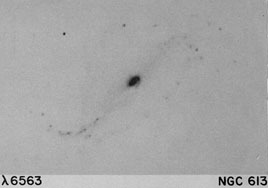 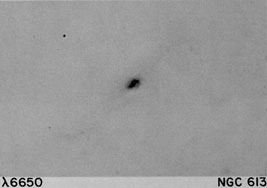 Burbidge and Burbidge (1962) report strong emission lines in the nucleus. The eastern arm of NGC 613 is well defined by the dust lane spiraling out from the nucleus and several bright HII regions lie along its "leading" edge. 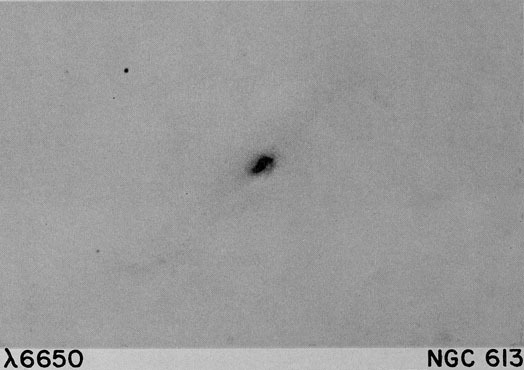 There is more scatter in the distribution of both the dust and the HII regions in the western arm.